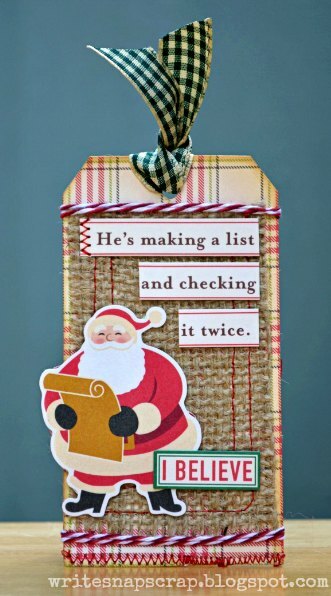 Before we get too far away from the holidays, I wanted to share a Christmas tag and a card that were published in the December 2012 issue of CARDS magazine. Both feature paper and embellishments from October Afternoon. 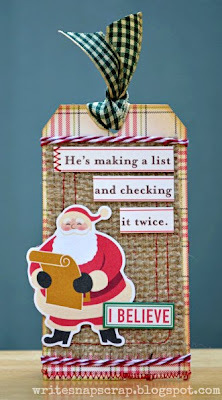 I used a bit of burlap and twine to give the tag extra texture. The little kraft bag on the front is designed to hold a gift card. Thanks so much for stopping by. 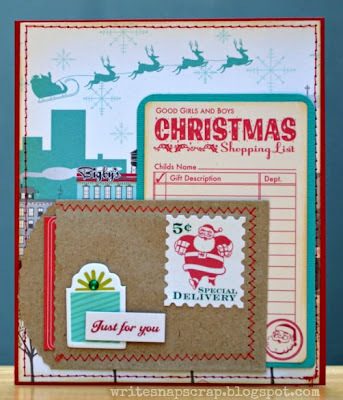 I'll be back tomorrow with the reveal of the new January kits at My Creative Scrapbook. oh i love these izzy!! they are so cute! Adorable! Congrats on the publications! Aww, so cute, Izzy! The colors are neat and love all the texture. Great job! Total cuteness here!! !Awesome on the Cards Pub~not surprised , you rock the cards!!! Beautiful projects, Izzy! I love all the little details. Congrats on your pubs!! Both projects are great but love the tag! These are GORGEOUS!!! I love love love the stitching and loving that burlap on your tag!! Congrats on the pubs!! These are super Izzy! I looooove October Afternoon and you did such a great job with it! Beautiful! Congrats on the pub!! These are so adorable! Love that burlap. And love the gift card idea! Hi and welcome to writesnapscrap. I'm Izzy Anderson, a Southern girl from North Carolina. This is a glimpse into my creative life: writing, photography, scrapbooking and paper crafting. Thanks for stopping by!